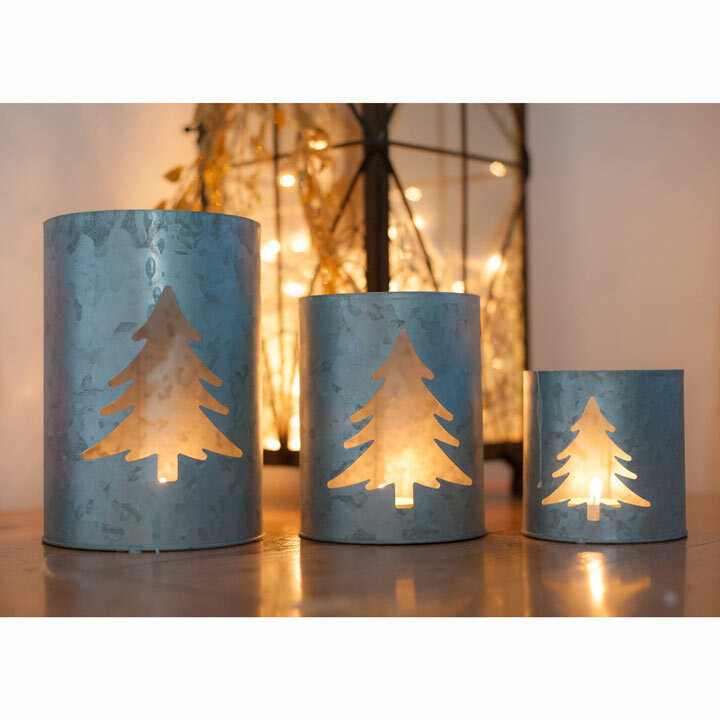 Christmas is the most beautiful time of the year and these 3 Fir Tree tea light holders will enhance your home and garden for Christmas that little bit more. 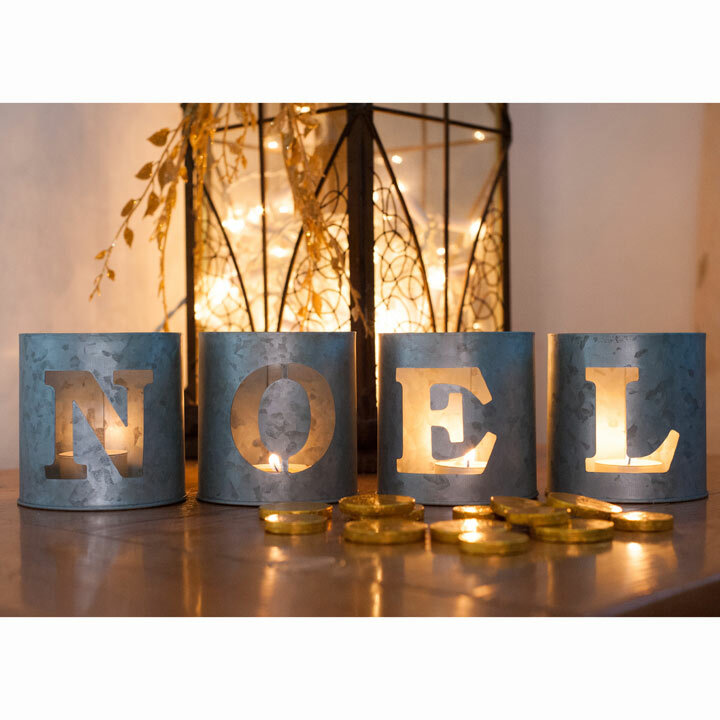 This set of 3 zinc tea light holders can be used both inside the home - they look great on a windowsill, on a mantelpiece or as a table decoration - or use outside in the garden where you can see them from the house. 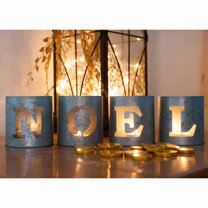 Dot them around to light up your home and intersperse them with the NOEL Tea Light holders to make your home decoration even more magical. Just pop a tealight candle in and enjoy the warm ambient glow. And if you have scented candles, that would work too to create a very special Christmas. Fir Tree sizes: small height 9.5cm x diameter 9.25cm approximately. Medium height: 14cm x diameter 11cm approximately. Large height 18cm x diameter 12.5cm approximately. Noel size: height 9.5cm, diameter 9.5cm approximatel. Available individually or buy both.